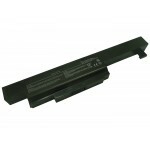 COMPATIBLE CON:A32-A24MSI CX480 SeriesMSI CX480MX Serie.. 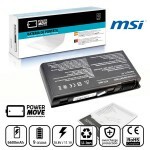 COMPATIBLE CON:MSI A5000 SeriesMSI A6000 SeriesMSI A620.. 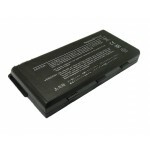 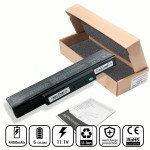 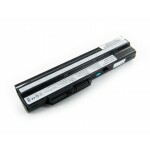 COMPATIBLE CON:MSI BTY-M6DMSI GT660 SeriesMSI GT660-003.. 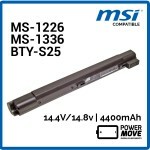 COMPATIBLE CON:MSI BTY-S25MSI BTY-S26MSI BTY-S27MSI BTY..